Charles II was probably the first monarch to come to Brighton, but his visit was very brief. Following the defeat at Worcester on 3 September 1651, Charles travelled to Sussex in the hope of escaping to France. In Brighton his aides approached Nicholas Tettersall, who agreed to take the group to France in his small coal brig, the Surprise. When he met Charles, Tattersall recognised him and demanded his fee be raised from £60 to £200. This was eventually agreed and in the early hours of 15 October 1651, Charles and his companions rode to Shoreham where the boat was moored, and Charles, his companion Wilmot, Tattersall and a crew of four sailed for Fecamps where they arrived the next morning. Charles, of course, returned to England at the Restoration of 1660. Tettersall, having renamed his boat the Royal Escape, was granted the rank of captain in the navy and he granted a pension of £100 per annum. In 1671 he became landlord of the Old Ship Inn. Amon Wilds was born in 1762; his son Amon Henry Wilds was born c.1790; two were leading architects and builders of Regency Brighton. It would appear that Wilds senior was the builder and Amon Henry was responsible for most of the architectural work. 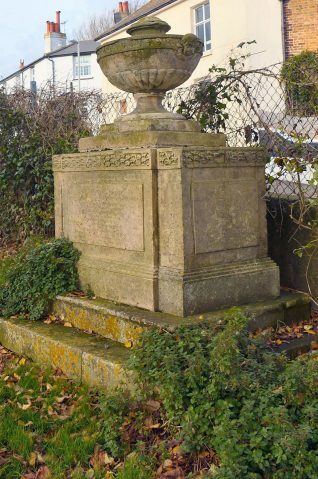 Amon Wilds died on 12 September 1833 aged 71, and is buried in the eastern part of St Nicholas’ churchyard, his prominent tomb being decorated with shell motifs and probably designed by his son. 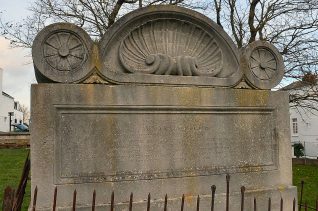 Shell motifs and the spiral ‘ammonite’ capitals were distinctive features of A.H.Wilds’ work and were probably a pun on the name ‘Amon’. In the 1730s increasing numbers of people were visiting Brighton to take Dr Russell’s sea water cure. As a result of this trend, therapeutic sea bathing was becoming very popular. But people were often nervous about entering the sea, so ‘bathers’ and ‘dippers’ were employed to make sure their clients were not swept away. 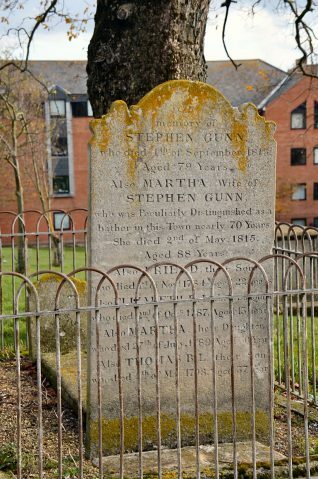 Martha Gunn (1726-1815) was from a very well-known local fishing family. She started work as a ‘dipper’ in her early twenties and did not retire until she was an old lady. 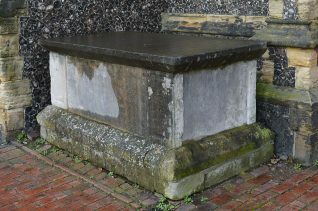 She enjoyed a very special relationship with George Prince of Wales (1762-1830) and as a result became one of Brighton’s first real celebrities. Sake Deen Mohamed who was born in Patna India, was a notable figure in the development of Brighton’s 19th century bathing industry. In the early 1800s, Mohamed established a ‘vapour bathhouse’ on the site that is now the Queen’s Hotel Kings Road. Sake Deen Mohamed called himself a ‘shampooing surgeon’ and offered his clients a massage with Indian oils. His business was an immediate success and Mahomed became known as “Dr. Brighton”. His methods were considered so efficacious that hospitals referred patients to him, and he was appointed as ‘shampooing surgeon’ to George IV. An interesting point is that his gravestone states Mohamed was ‘101 years’, while his registered birth and death dates of 1759-1851 make him 92 years old. Anna Maria Crouch (1763 –1805), was a singer and stage actress. In her teens she was articled to Thomas Linley, one of the management of Drury Lane Theatre; by fourteen she was performing there and earning between £6 and £12 each week. By all accounts Anna Maria was an attractive and vivacious woman who is mostly remembered for her romantic liasons. Her main claim to fame was a short affair with George Prince of Wales. The affair was brief, but she benefited financially, with the general belief being that she received somewhere around £10,000 from the Prince when the affair ended. 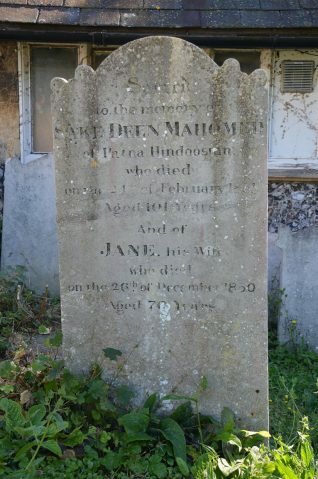 Sadly, Anna Maria’s life was cut short in 1805 when she suddenly died; the 42 year old’s cause of death is unknown but is thought to have been an accident. 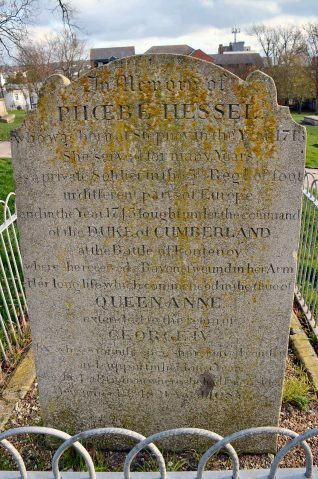 Phoebe Hessel (1713 –1821) was best known for disguising herself as a man to serve in the British Army, to be with her lover, Samuel Golding. The story goes that they were both wounded in the Battle of Fontenoy in 1745. Because of her injuries, Phoebe revealed her position to the wife of the Regiment’s colonel, so she and her lover were both discharged. They married and moved to Plymouth where they had eight children. When Golding died, Phoebe moved to Brighton and married Thomas Hessel, a fisherman; he died when Phoebe was eighty years old. To make a living she was reduced to selling small items on the streets of Brighton and also became somewhat of a local celebrity by telling her story in the local inns. On the strength of her story and also because she was the oldest person in Brighton, George Prince of Wales provided her with a pension of half a guinea a week. It has been suggested that her tale was merely a good bar-room story designed to encourage listeners to open their purses. However, the Northumberland Fusiliers, successors to Phoebe’s alleged regiment, certainly believe the story as they restored the grave in the 1970s. Have you seen the section on St Nicholas’ Rest Garden?